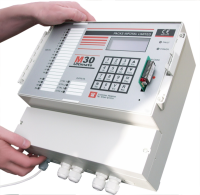 The M30 Alarm Dialer is a professional Autodialer and is used around the world in a variety of applications including Freezer Alarm Monitoring in the Pharmaceutical, Medical, Food, Chemical and Engineering industries. The M30 can easily connect to your Freezers integrated temperature and mains failure alarm outputs or if your units do not have integrated alarms via one of our external High/Low Thermostats. The M30 Allows you to connect up to 56 separate freezers and simply identify each one, as each input on the M30 has its own dedicated voice and or SMS Message. The M30 is a very versatile Alarm Dialer and can connect to various other systems in your building e.g. Security system, Fire alarm, Lift alarm etc. The M30 includes a 24-48hr integrated backup battery and also optionally a GSM phone line backup system to provide failsafe protection. The M30 is very easy to use and setup as it is all done via the units integrated backlit LCD display and keypad. The M30 Generator Alarm System provides an easy and reliable method to monitor your Generators and Power Plants especially in remote or unmanned locations where it is critical to have a constant power connection. When a problem occurs the M30 will instantly alert the current on call personal by voice and or SMS message to tell them there is a problem on site. Not only can you monitor mains failure detection and generator stop / starts you can also monitor other aspects of the generator e.g. fuel levels, over heating alerts. Plus you can connect anything else on the site than you would like to monitor e.g. 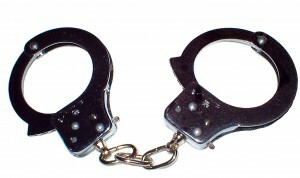 Security systems, High/Low temperatures, Water levels etc. If you don’t have a land line connection available then you can use the M30’s GSM and or SMS module to send your alarm voice messages. SMS communication can be done simultaneously with a connected land line. e.g. you could set up your contact list to send 3 SMS messages and 3 voice messages via the land line. 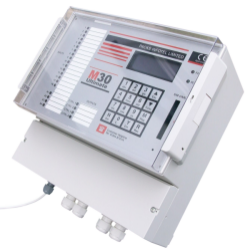 The M30 provides the means to automatically monitor any connected land line connections for failures. If a failure is detected the M30 will then automatically switch to the GSM/Mobile/Cell phone networks. Internal Mains Failure Alarm Detection. The above list is only a small subset of the features available for the M30, visit our Standard and Optional features pages for more information, in addition as the M30 is designed and built by us in the UK if there is a features you need, or if you want the M30 to work in a particular way for your application then please give us a call as we care happy to create custom features. Our New Lone Worker system is now available. Providing a foolproof method for protecting your staff with out the need for remote fobs or radio equipment. Not only does this save you the worry of of whether the fobs are working and are charged it also means it can be used in places where Radio use is prohibited. For more information visit our Lone Worker page or contact us. The M30 Auto dialer With Text Message Facility is an advanced purpose built unit designed for critical and harsh environments. As an industrial Auto Dialer the M30 comes with all the types of feature you would expect, 4-56 individual inputs, PSTN, GSM, SMS, Pager communications, Fully LCD display & Keypad driven, hardened electronics and multiple backup systems. Its backup systems include 24-48 hour battery backup, phone line monitoring, GSM phone line Backup, text messages and multiple dialout numbers. The M30 allows you to have a fully customisable text message for each alarm input, meaning you won’t receive a cryptic “Channel 16 alarm condition” but a much more meaningful “High temperature in Lab 2” message. As well as a Text Message facility the M30 also comes with a PSTN voice message system included as standard, this works in the same way as the text messages with each input having its own user recordable message. 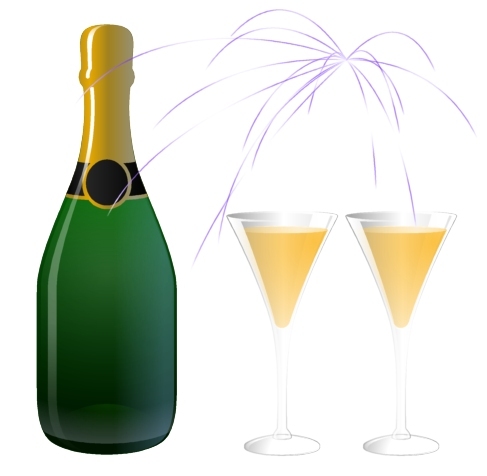 You can also send voice messages over the GSM network as well, either as a dedicated medium or as a backup if the connected land line fails. As standard when an alarm is detected, the M30 will communicate it to the universal contact list that the user had setup. You can also upgrade your unit to allow each of the inputs to have its own dedicated contact list e.g. input 1 can phone the fire brigade, input 2 can phone the on call engineer etc. When setting up your contact lists you can specify the type of message each recipient gets (Text Message, Voice, Pager). Below is a small subset of the standard features on the M30, for a for more comprehensive list or information please contact us or visit the standard or optional features pages. For more information of the Auto dialer With Text Message Facility visit the Text Message Feature page or the Text Message section on our Blog. The M30 GSM Security Auto Dialer is an advanced industrial unit designed for critical situations; It comes with multiple inputs, GSM/SMS/PSTN communications, hardened electronics and integrated battery backup. The M30 GSM Security Auto Dialer is very simple to use, with an inbuilt LCD display and keypad as standard, thus enabling you to quickly and easily change settings and update phone numbers. Alarm input connections are made easy with a pair of terminals for each input so you can simply connect multiple security systems, multiple security zones or sensors. Each input has its own dedicated voice and or SMS message meaning you know instantly which alarm has been triggered. A unique feature of the M30 is the ‘channel to roster’ feature this allows you to setup a dedicated list of contacts for each input. So for example you could set to channel 1 to contact the fire brigade, channel 2 to contact the security desk and channel 3 to contact to on call engineer etc. Below is just a subset of the features available for the M30, for a full list please visit our features pages or contact us. Because each unit is custom made to your specifications if there is a special feature or function you need the we will be happy to create it for you. GSM Network connection and backup (optional). For more information on our GSM Security Auto Dialer, help or pricing please contact us or visit our standard features or auto dialler FAQs pages. 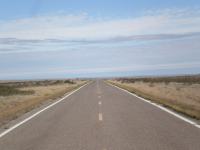 Having Equipment / machinery / processes / livestock in remote and or unmanned locations means you need to have an effective method of monitoring them for problems or failures. But like the preverbal tree in the forest having an expensive alarm system and sensors is not much use if there is no one around to hear it. That is where our M30 comes in, it can safety and securely send alarm messages in the form of voice, SMS or data to the correct on call personnel, instantly informing them of the problems with the remote equipment, allowing them to quickly respond. The M30 can use both the standard PSTN land line phone network and GSM mobile/cell network to send alarms. It can also be setup to monitor the connected land line and automatically switch to the GSM mobile/cell phone network if the line fails. You can also interrogate the M30 at any time allowing you to check the current status of any alarms. The M30 is currently used around the world in a multitude of situations from Power Stations in England, desalination plants in Florida, Railways in Singapore, Live Stock in Wales and Pharmaceuticals in Scotland. 4,8,16 and 56 individual alarm inputs / channels. 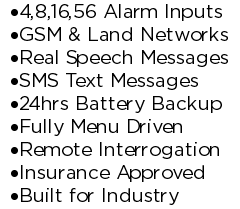 Voice, SMS & Pager alarm messages. 24 Hour + battery Backup. Fully Menu and Keypad driven with a backlit LCD display. The M30 Telephone Alarm Dialer is an advanced industrial designed unit, specifically made for harsh and commercial environments. It is used around the world in a multitude of situations including; Horticulture and Live Stock Protection, Hospitals, Power Stations and Building Management systems. The M30 comes will all the types of feature you would expect from a commercial/ industrial Alarm Dialer including; 4 to 56 individual alarm inputs each with their own real speech and or SMS message, integrated 24 plus hour battery backup, integrated mains failure alarm and has the ability use both the PSTN land line and the GSM phone networks to send alarm messages. The M30 can send both user recordable real speech messages and or customisable SMS messages to your mobile/cell phone. Because all the messages are customisable you are not stuck with a generic “Channel 28 Alarm Condition” message but a much more useful “Power Failure on Freezer 14B”. The M30 can use both the PSTN standard land line networks and GSM mobile networks to send alarm messages. It can also monitor a connected land line and automatically switch to the GSM networks if the land line is cut or fails. As a commercial piece of equipment it comes with all the features you would expect; 4 to 56 individual inputs, integrated battery backup, high spec components , inbuilt surge protection and is fully configurable via its inbuilt LCD and keypad system. The M30 also comes with the included free optional feature to send real user recordable speech messages over a PSTN land line connection or optionally over the GSM network. The GSM connection can also be used as a backup; The M30 will monitor the connected PSTN line and if it fails will switch automatically to the GSM phone network.